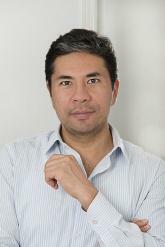 Gerardo Piña was born in Mexico City in 1975. Apart from being a translator, he has been a Professor of Literature and Literary Creation at the Mexican Literature Foundation and the University of East Anglia in the United Kingdom (where he got his doctorate on English Literature): Currently he’s in the Faculty of Philosophy and Literature of the UNAM. He has contributed with reviews, translations, essays and articles in publications such as La Jornada, Milenio o Reforma, among others. He is the author of the novels The Novel Commences and The Last Stop, which Periférica will re-publish soon.